Interment Mt. Hope Cemetery in Procession. 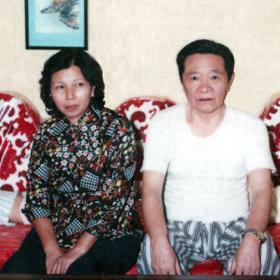 With a life that spanned times of great hardship along with wonderful joys, Siu Foong Tam considered herself blessed in the riches of family. 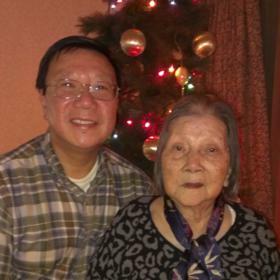 A mild tempered woman, Siu took life in stride and accepted what came her way. With unending faith as her guide, she was thankful for much, and her light hearted nature and easy-going sense of humor was a delight for all who came to know her. Although she will be deeply missed, she leaves behind a lasting legacy never to be forgotten. Two world’s apart, the city of Hong Kong, China and that of the United States in 1927 differed greatly by all standards. Marked by a time of prosperity in America, the Roaring Twenties emerged as a decade of economic prosperity rich with optimism and innovation. The stock market soared and people everywhere were brimming with hope. Yet nestled in a small corner of the ever populous 1927 Hong Kong, life as those in the U.S. knew it was vastly different. 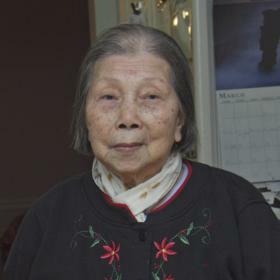 Born on September 1, 1927, Siu was the beloved daughter of Tam Kum Piu and Wong Ling. A time of great civil and political unrest in the country, the Nationalist government fought fiercely against Communist forces during the Chinese Civil War. Although the area had seen much industrial expansion despite these tumultuous times, child labor was a necessity to supplement meager family incomes. This was especially the case for Siu and her family. 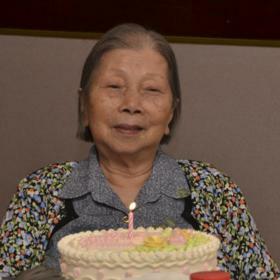 Having grown up in Hong Kong alongside her two siblings, Tam Siu Ping and Tam Pu Hung, their family was considered quite poor and she had no toys as a child. However, amidst these desperate times, Siu remained hopeful. Having only completed the eighth grade, Siu was married at the age of 17 to Yiu Leung. To their union they began a family of their own, and before long hope was on the horizon when they had the opportunity to come to America. Although vastly different from the life she had known, this newfound life agreed with Siu.  A successful homemaker, Siu was a loving and attentive mother to her eventual eight children. She raised them with the traditions of her homeland, yet she was grateful for the new opportunities before them. Siu especially loved family gatherings to celebrate the holidays of Thanksgiving, Christmas, and of course, everyone’s birthday. While she had been to several cities in China, Siu loved to travel. 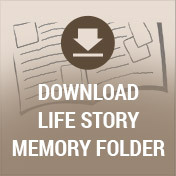 She visited Disney World in Florida with a few members of her family which made for lasting memories. 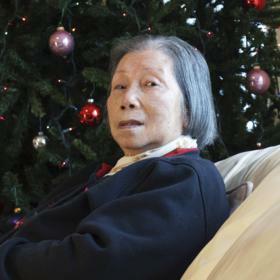 In her free time, Siu enjoyed playing Mahjong, and she liked watching the Chinese opera. She was a wonderful cook who passed many of her specialties onto her children. She blessed many with her wonderful sense of humor, and one never to become easily riled, she relied on her faith greatly as a very spiritual woman. Siu’s favorite quote was, “Life is short, make it worthwhile.” A true matriarch, she encouraged those around her and in all ways was a loving example for her children to live by. She will be dearly missed and forever remembered.